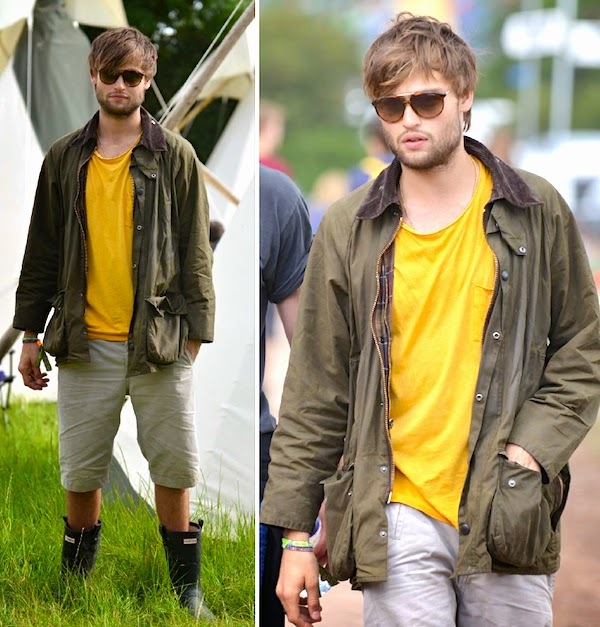 Douglas Booth was pictured at the Glastonbury Festival on 27th and 28th June 2014 in Glastonbury, England. The British actor looked gorgeously chic at the music festival, and was pictured in a pair of Carrera 85/S sunglasses. Love the tortoiseshell frame with the gold accents, which worked nicely with his bright orange t-shirt and khaki waxed cotton jacket. Artfully messy hair with that few days old stubble, Douglas Booth looked really good. Hot chic farmer anyone? 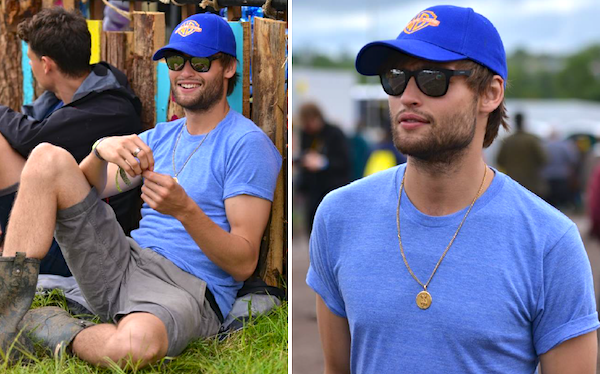 Douglas Booth was also pictured in a blue t-shirt, which he nicely paired with the matching baseball cap. He was pictured in a pair of Carrera 6000/M sunglasses. Love the classic shape and he looked effortlessly stylish. Which is your favourite look?